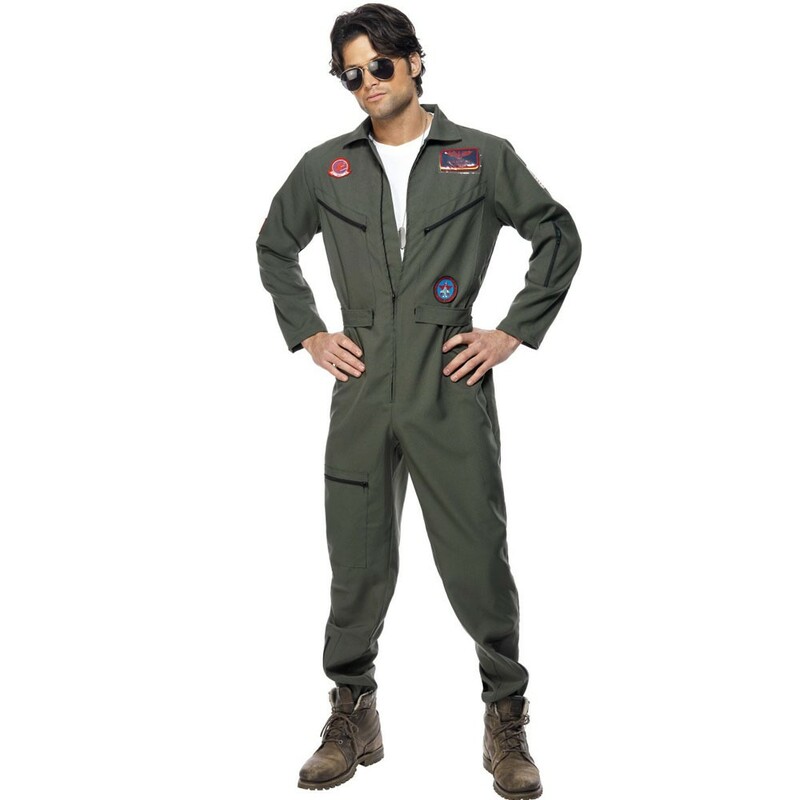 Licenced Top Gun Pilot with Jumpsuit, Name Tags (to choose character) & iconic Aviator Glasses! For 80s or Uniform themes. 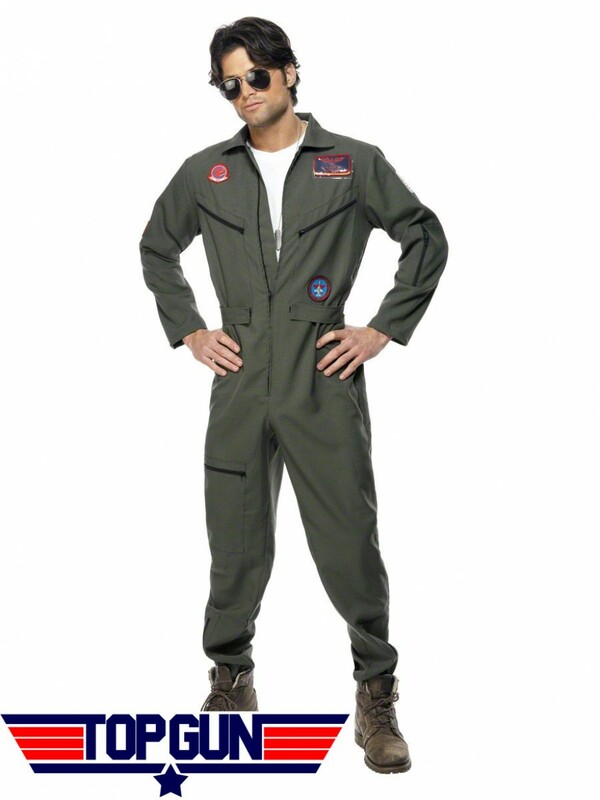 An official licenced Top Gun Pilot outfit which includes Jumpsuit, Name Tags and Aviator Glasses. 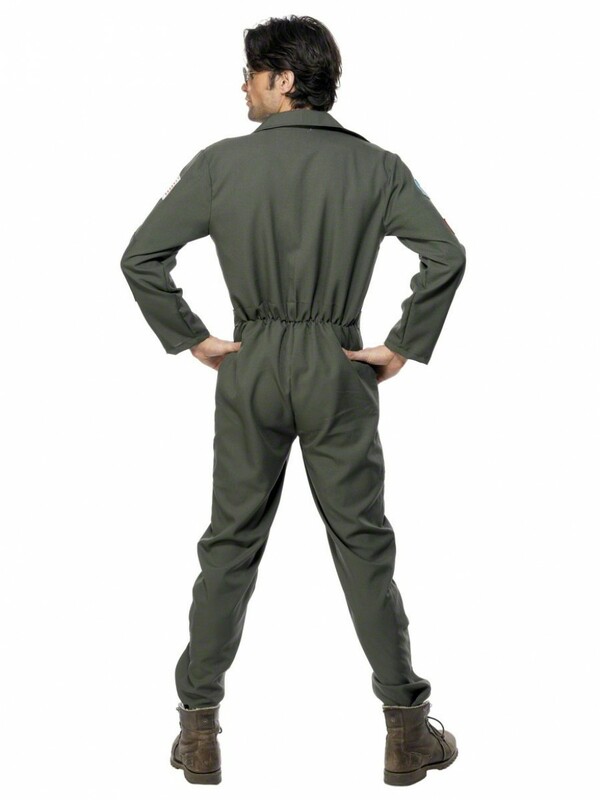 The jumpsuit is in a dark green with zip front and loads of detailing, making it a really deluxe costume. The jumpsuit also has loads of other detail, including sewn emblems (such as the USA flag and a comedy ‘Tomcat’ emblem) and zip pockets. To complete the look, the costume comes complete with the iconic aviator glasses, with ‘mirror sheen’. The glasses measure 14cm across and have plastic tips on the arms for extra comfort. A truly deluxe outfit – perfect for Character, Film or 1980s themes! This costume is available in Medium, Large and Extra Large. 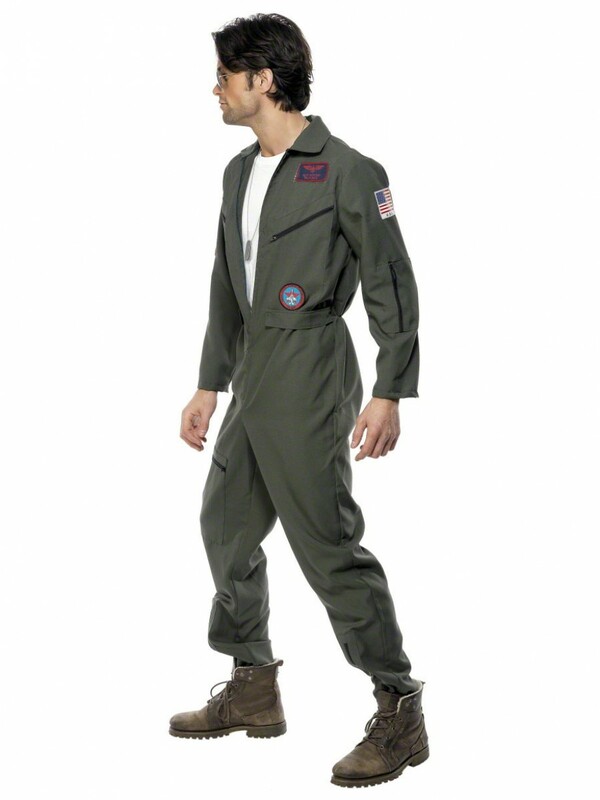 Licenced costume which includes Jumpsuit, 3 Name Tags and Aviator Glasses.